D. Allen Rutherford is a former army officer and a retired international technology consultant with a B.S. and Masters degree. 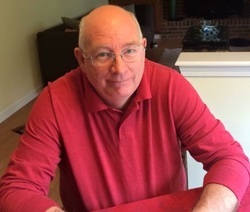 Settling down in central Arkansas, D. Allen taught a year as an adjunct professor and three years as a science teacher in secondary education before deciding to devote his time and energy to writing science and historical fiction novels. Combining his interest in science with his love of writing, D. Allen attempts to create science fiction novels that blur the line between modern science and science fiction. Layered within his stories are issues associated with controversial scientific research, leaving the reader to wonder, "is this really possible," opening the doors to moral and ethical debate. The first novel in the trilogy finds Dr. Mathew Kershaw drawn into a real-world conflict between transgenic wolves and therianthropes within an isolated village nestled deep within a wilderness region in northern Idaho. Responding to a request from an old college friend to investigate an attack upon one of his forest rangers, Matt accepts the assignment hoping the investigation will finally lead him to a new species of wolf. What he finds challenges his knowledge and understanding of science and genetics as he comes face to face with transgenic wolves, Lycans, and secret government programs focused on creating human-animal hybrids. In the second novel of the Wargs Trilogy, we find Dr. Matthew Kershaw and the residents of Misty Hollow engaged in a desperate fight for survival. While Matt Struggles to assemble a team to deal with the rising threat posed by the human-warg hybrids, Dr. Bertram is racing to develop a cure for the transgenic virus. Unknown to Matt and the others, the threat against them is much more ominous than anyone can imagine. Behind the warg threat is a sinister plot by a rogue colonel and his band of human-warg hybrids who are intent on establishing dominion over the indigenous warg packs. With the wargs under his control, the colonel plans on unleashing a reign of terror upon the residents of Misty Hollow and then the population at large outside the valley. Can Matt, Victor and their team uncover the plot in time to stop it before it's to late? Can Dr. Bertram develop a cure for the virus before it can be exploited by some other group. 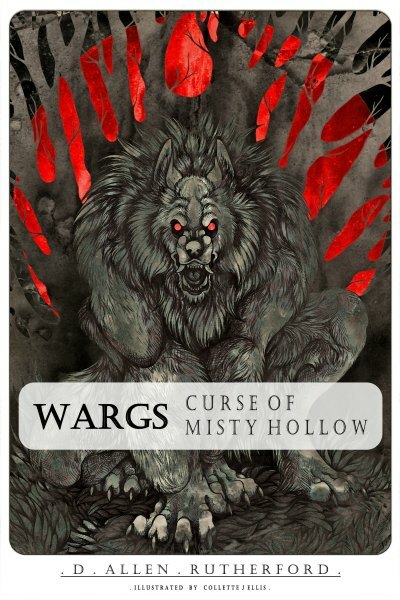 Wargs: Outcast is the heart pounding and gripping conclusion to the Wargs Trilogy. It’s been three years since the bloody and gruesome battle in the remote wilderness near Misty Hollow. A battle Matt believed ended the harrowing threat against the peaceful residents of Misty Hollow. Since then, they have learned to maintain a peaceful co-existence with the wargs. Meanwhile, sinister forces have been working to resurrect a program to create the ultimate transgenic human-animal hybrid, bringing possible new threats to the valley’s residents. After receiving a cryptic message, Matt is plagued with more questions unanswered and left with a bone-chilling fear; who’s behind this dark veil and what is their connection to Misty Hollow? With the new threat looming, one has to ask, are they ready to face a new adversary? Join Matt and the people of Misty Hollow as they struggle to unravel the new mystery and thwart the rising threat before it brings more misery and death back to the valley.